Agnigarh Hillock Located in the North Bank of mighty river Brahmaputra Tezpur Assam. 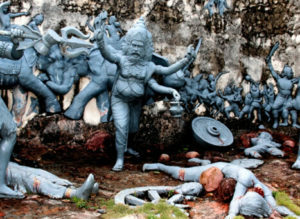 Agnigarh is known as historical &amp; Hindu Mythological place. ( Agnigarh means fire and Garh means fortress) Agnigarh also knows as love site in Northeast. According to Hindu mythology, Agnigarh is the site of the fortress which was surrounded by fire at all times. so that nobody could go in or out of the perimeter without permission. also, check - A LITTLE NATURAL BEAUTY GUIDE OF NORTHEAST INDIA. The fortress which was built by Banasura to keep his daughter Usha. In Hindu mythology, Banasura was a powerful terrible Asura who has thousand armed and he is the son of Bali. 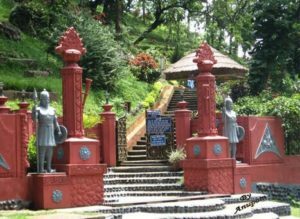 Agnigarh is Legendary historical place in Assam. Usha (daughter of King Banasura) fell in love with Aniruddha ( Aniruddha grandson of Lord Krishna ) in her dreams. Usha did not see him before appeared in her dreams. Chitralekha Identified him by painting. Chitralekha was not only an artist but one possed with mystical powers. King Banasura not happy with this relationship and threw Aniruddha into prison. and built the fort at Agnigarh to keep Usha from meeting him. And Lord Krishna Saved Aniruddha Banasura and Lord Krishna fought in this very place in Tezpur during the great Mahabharata War. Lord Krishna saved them to unite the loving couple. The study from the history also says that the vicinity of the town has historical ruins of the 8th-9th century. What to see on Agnigarh - you can see beautiful waterfalls and giant mushrooms in the surroundings of the site. You can also have the picnic at this spot with your family and friends and spend an awesome day admiring the beauty of the place. you can also read - Madan Kamdev a Marvel which speaks about the Ancient Kamrup.